Update: Sarah Huckabee Sanders confirms that Deputy AG Rod Rosenstein was indeed at the White House today, however she says it was for "routine meetings. He did not meet with the president while he was here,” she says. It is unclear what those meetings were. Deputy Attorney General Rod Rosenstein was summoned to the White House Tuesday morning, four days after he indicted 12 Russian Intelligence officers for hacking the 2016 US election. The indictment came one business day before President Trump held a summit with Russian President Vladimir Putin in Helsinki, Finland. 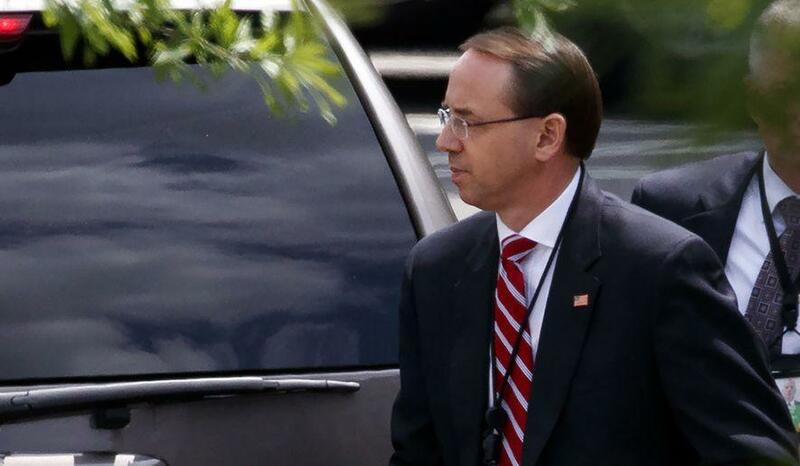 It is unclear if Rosenstein met with President Trump, who is reportedly still in the residence and had not made an appearance in the West Wing. 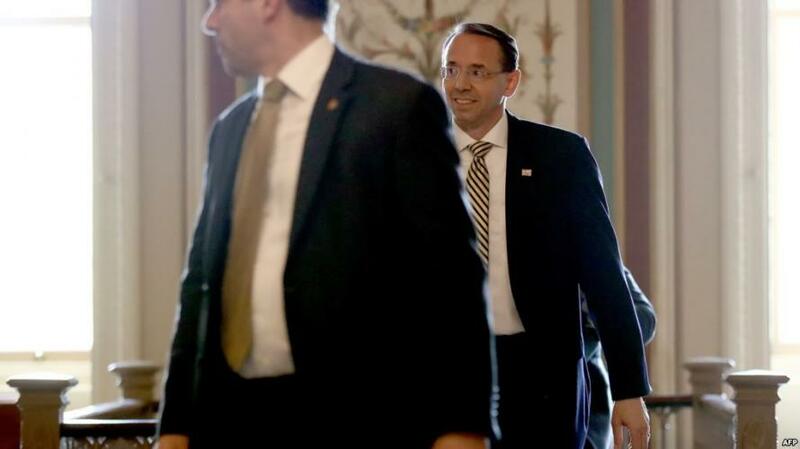 Rosenstein's White House appearance comes amid reports that members of the GOP House Freedom Caucus have drafted articles of impeachment for Rosenstein, calling it a "last resort," as frustrations mount over the DOJ "slow walking" or delaying the delivery of documents vital to congressional investigations into the FBI's conduct during the 2016 US election. On Monday, Freedom Caucus leaders Mark Meadows and Jim Jordan also urged DOJ Inspector General Michael Horowitz to investigate whether Rosenstein threatened congressional staffers with "subpoena" earlier in the year. “This notion Mr. Rosenstein threatened to use his official investigative powers as Deputy Attorney General to retaliate against rank-and-file staff members for sending written oversight requests raises concerns he has abused his authority in the context of this investigation,” the two Republican lawmakers wrote, in a letter obtained by Fox News. The letter comes after Rosenstein apparently threatened to “subpoena” emails, phone records and other documents from lawmakers and staff on a Republican-led House committee during a meeting earlier this year, according to emails reviewed and first reported by Fox News. Speculation also mounted last year that President Trump might fire Rosenstein, after FBI agents conducted raids at the home and office of his former personal attorney, Michael Cohen, according to The Hill. Meanwhile, Rosenstein has called for a unified approach to countering foreign meddling.